Never has there been a book of poems quite like Gabriel, in which a short life, a bewildering death, and the unanswerable sorrow of a father come together in such a sustained elegy. This unabashed sequence speaks directly from Hirsch's heart to our own, without sentimentality. From its opening lines--"The funeral director opened the coffin / And there he was alone / From the waist up"--Hirsch's account is poignantly direct and open to the strange vicissitudes and tricks of grief. In propulsive three-line stanzas, he tells the story of how a once unstoppable child, who suffered from various developmental disorders, turned into an irreverent young adult, funny, rebellious, impulsive. 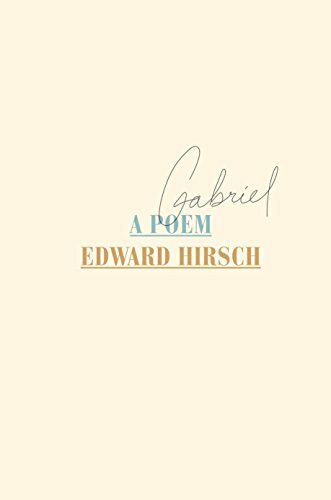 Hirsch mixes his tale of Gabriel with the stories of other poets through the centuries who have also lost children, and expresses his feelings through theirs. His landmark poem enters the broad stream of human grief and raises in us the strange hope, even consolation, that we find in the writer's act of witnessing and transformation. It will be read and reread.